Music composer G V Prakash made his debut as hero in the film Pencil. But his second film Darling was released. Now the works connected with Pencil is over and is getting ready for release. At this juncture, G V Prakash is donning the lead role in a Tamil comedy genre movie “Trisha Illana Nayantara”. Kayal Anandhi is pairing with him. Adhik Ravichandran is directing the film. During the launch, the movie was created a lot of confusion when people near the shooting spot mistook the title and gathered in awe to catch the glimpse of actresses Nayantara and Trisha Krishnan. When they learnt it was just a movie’s title, they were a little disappointed. The latest is, we hear that there is a new addition to the movie. Yes, Simran who was the leading actress of 90s will be donning an important role. Actress Simran was one of the leading actresses of 90s. She had paired with all leading actors of Tamil film industry. After her marriage, she quit acting. After this, she was working as judge in the TV Reality shows. 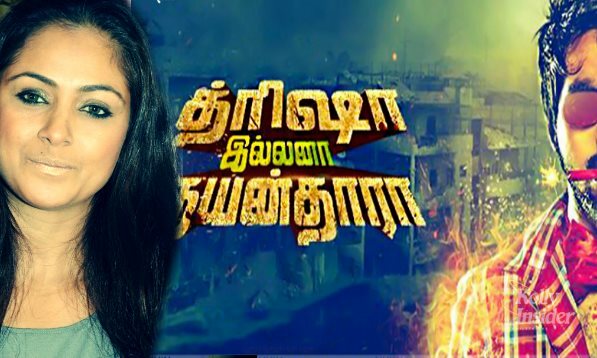 Now through this film Trisha Ileana Nayanthara, she is making her re-entry.